Analgesic, anticonvulsive, antidepressant, anti-inflammatory, antimicrobial, antirheumatic, antiseptic, antispasmodic, antitussive, antivenomous, carminative, decongestant, deodorant, diuretic, insecticide, nervine, parasiticide, sedative, stimulant, and tonic. Lavender essential oil has a long history of use. the name coming from the Latin word 'lavere', which means 'to wash', because the Romans added Lavender to their bath water. It is the essential oil made famous by Rene-Maurice Gattefosse, who treated a bad burn with lavender oil. He was intrigued that the burn healed without the usual blistering or scarring, and became interested in the healing power of essential oils. His studies led to the publication of the book Aromatherapie, and also popularized the term "Aromatherapy" for the study of essential oils. 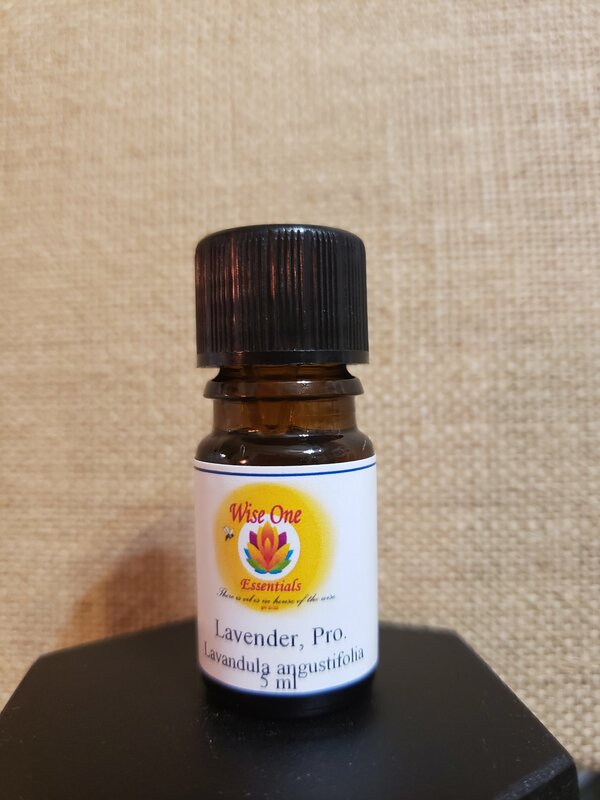 Lavender essential oil is used to help relieve headaches, PMS, cramps and muscular aches and pains. It can help relieve sinus and nasal stuffiness and chest congestion. Probably most well-known for its ability to reduce stress and promote restful slumber, Lavender oil is the number one choice for many when they need calming, grounding and rest. In fact, aromatherapy researchers found that Lavender oil was the most effective essential oil for relaxing brainwaves and decreasing stress.